Lard is rendered pork fat; the term is usually used to refer to rendered pork fat suitable for cooking. Leaf lard specifically comes from the visceral, or soft, fat from around the kidneys and loin of the pig. As such, it has a very soft, super spreadable consistency at room temperature. Leaf lard is considered the highest grade of lard. The lard sold in blocks in most stores, by contrast, is rendered from fat from all over the pig and is treated in a variety of ways, including hydrogenation, to make the lard shelf-stable, deodorized, and keep it solid at room temperature. 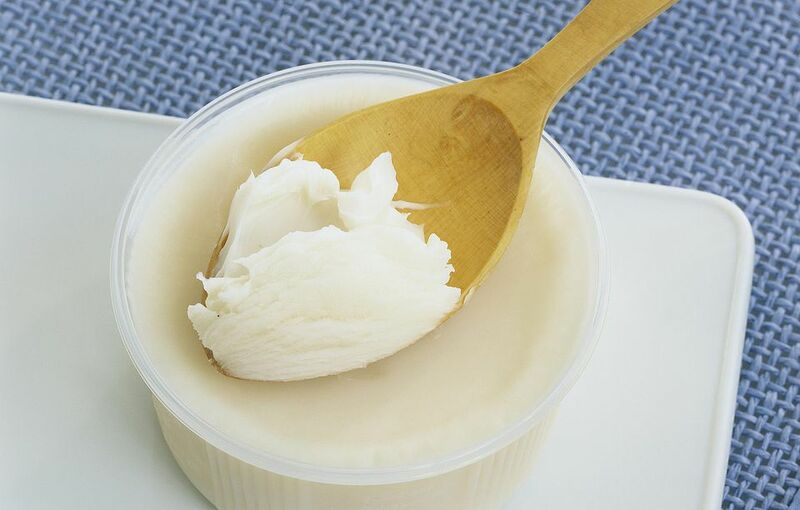 Like all types of lard, leaf lard has a high smoking point, making it an excellent choice for frying, pan-searing, and even grilling. Also, while leaf lard doesn't have the porky flavor of caul fat, it does have a gentle back-note of subtle, gentle meatiness that hydrogenated lard lacks. So leaf lard is a good choice when you want that high smoking point, but you don't want the final product to taste like pork (such as when you're making donuts or French fries). Due to its natural moisture content and mild flavor, leaf lard is particularly prized by bakers for use in producing flavorful and flaky pie crusts. True lard-ophiles may even choose to spread leaf lard on bread. Add a sprinkle of salt and you'll see why it's common practice in some regions of the world. By contrast, leaf lard isn't good for everything. Its softer consistency makes it a poor choice to use when larding. Leaf lard can be tricky to track down. You'll have the best luck at small butcher shops, where they may make and sell it. Some vendors at farmers' markets may also have it available. There are some online sources for leaf lard as well, but take care to order from a place that will provide refrigeration or pack the product in such a way that protects it from spoiling. Rancid lard is really unpleasant. Rendering your own leaf lard is easy if you can find the fat There are two main ways to do it. 1. Wet Method: Put the visceral pork fat in a pot with some water and bring to a boil, reduce to a simmer and cook until the fat has melted into the water. Let cool and skim off the lard. 2. Dry Method: Put the fat in a pot or pan on the stove over medium heat or in an oven set at 350 degrees, and cook until the fat has melted (any bits of skin or meat will turn brown and crispy). Wet-rendered lard will have a more neutral flavor, while dry-rendered lard will have a brownish tinge and have a slightly cooked flavor. In either case, know that rendering lard is an odiferous affair. Transfer the lard to a container with a sealable lid and store, chilled, for up to a month.